“A violinist ahead of his time” was the headline above the Washington Post’s review of Anton Barakhovsky’s debut recital at the Kennedy Center in 1998. When he was only six years of age, Barakhovsky, born in 1973 in Novosibirsk, appeared as soloist with the symphony orchestra in his home town. The violin teacher, Matvey Liebermennt, recognized the child’s special musical talent and fostered his studies at the Special School of the Mikhail Glinka Conservatory. Since the age of 19, Anton Barakhovsky has lived in Germany, where he studied at the Music Academy in Hamburg with Mark Lubotsky and Kolja Blacher. 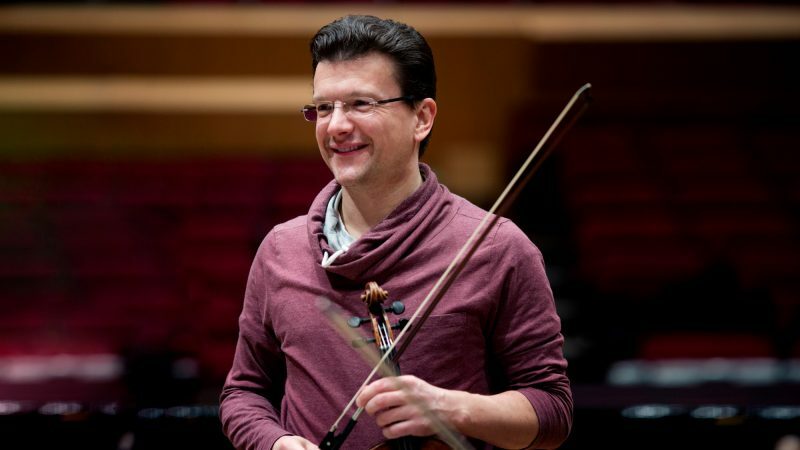 After winning the 1997 Young Concert Artists Prize in New York, he received a scholarship to the Juilliard School, where he was a student of Dorothy DeLay and Itzhak Perlman. By this time, he had already received a number of major awards. At the age of twelve, Anton Barakhovsky was a prize-winner at the “Concertino Praga” radio competition; at 13 he won a prize at the International Competition in Beijing. In 1990 he won fourth prize at the Tchaikovsky Competition in Moscow, and in 1994 second prize at the Joseph Joachim Competition in Hanover. The violinist has performed with a number of top orchestras, such as the Novosibirsk Philharmonic (under Anton Katz), the St Petersburg Philharmonic and the Russian National Orchestra (under Mikhail Pletnev), the Perlin Symphony, the NDR Symphony Orchestra (under Arnold Östmann), the Orquestra Sinfónica de Santiago, the New York Chamber Orchestra (under Lawrence Leighton Smith) and the Hamburg Philharmonic (under Wolfgang Sawallisch). With the Hamburg Philharmonic Anton Barakhovsky played the Violin Concerto by Igor Stravinsky for a ballet choreography by George Balanchine (John Neumeier Company: Hamburg State Opera). He gave recitals in New York at the Kaufmann Concert Hall in the 92nd St. Y, at Weill Hall in Carnegie Hall and in Alice Tully Hall at Lincoln Center. Besides this he had engagements in several Russian cities including the Hall of the Moscow Conservatory as well as both the Grand Hall and the Recital Hall of the St. Petersburg Philharmonie. Further concerts took Barakhovsky to Wigmore Hall in London, St. Peter’s Cathedral – where he played for the Pope – Berlin (Schauspielhaus), Munich (Gasteig), Hanover, Hamburg (Musikhalle), Dresden, Prague, Milan, Geneva, Paris (Louvre and Sainte Chapelle), Mendoza, Mexico City, Sapporo and Beijing. In 1999 he performed the Sonata for Two Violins by Sergei Prokofiev on a CD as the duet partner of violinist Vadim Repin, recorded in the Louvre and released on Erato label. From 2001 to 2009 Anton Barakhovsky was principal concert master of the Philharmonic State Orchestra in Hamburg. As of October of 2009, Anton Barakhovsky serves as principal concert master of the Symphonieorchester des Bayerischen Rundfunks.